This variant comes with perfect equipments like easy access parking brake lever , commanding driver sear position, advanced digital display for complete information on driving, new steering wheel, improved fabric for the seven seats, a state-of-the-art dashboard and space rendering central console with easy to operate MP3, ergonomic door grab handles, voluminous glove box, two tone gear knob with effortless gear shift. The engine, however, is the same 2523 cc Direct Injection unit giving out 63 HP of power@3200 rpm and torque of 180 Nm@1440-1500 rpm . The turbo diesel motor is mated to a NGT 520, 5 speed all synchromesh with overdrive in 5th gear. The variant can travel on roads of BSIII cities only. Ground clearance of 195 mm makes it a clear winner over other variants. Suspension used here is also better than the DI variants. For front, independent suspension with coil spring and anti-roll bar is used while Parabolic leaf springs suspension is used at the rear. 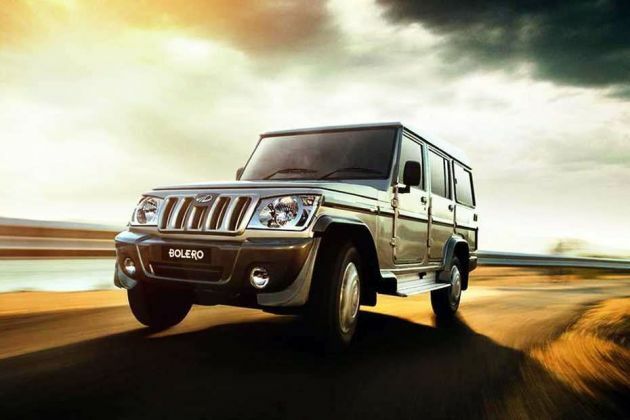 Superior 185/75, 16 inch wheels are used in Mahindra Bolero Plus Non AC BSIII which can turn by 5.9 metre (turning circle radius). The wheelbase is 2794 mm while the length, width and height are 4440 mm, 1660 mm and 1977 mm, respectively. 36 months drive line warranty is offered by M&M with this variant.